Use: Upgrades lvl640 Blacksmithing armor to 655. 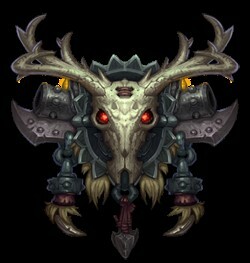 Rewards: transmog weapons,title "the Indomitable",mount Challenger's War Yeti. Increases a primary stat by 15%. Yesterday we have sent 0 Gold out on this server. Currently we have 0 gold on this server you choose. The coupon is error or has expired! After you place the order please go to the designated place to get your wow gold within 30 minutes. Alliance: Doorway of the Stormwind's Bank. Horde: Doorway of the Orgrimmar's Bank. If our staff didn't get in touch with you within 30 minutes, please contact our customer service. Hope you enjoy a pleasant journey here. Worried about your order status? Hated no response after ordering? Felt helpless when problems showed up? Tired of waiting so long to get your order? Hoped for some more free gold? Let our customer manager help you! Each customer will get their own personal customer manager, they will help you checking gold stock, tracking order status, helping solve problems, and getting quicker delivery! Talk to your personal customer manager, enjoy their full-range service. Let's make the business easier, quicker and happier! For better contact & smooth delivery,leave us your valid telephone number. Click here and "buy now" button below, you will be registered as Mmosavor VIP and get 200 bonus points, more bonus points, more coupon! -----your email address will be used as UserName, character name as password. ----you'd better alter your password after first logining. ----you can log into your account when placing order next time. Thus your member points will be accumulated continuously. If you are inconvenient to login the game or come to the trade spot, we will mail Gil to you. If you are online,we will leave messages for you. If not, we will send letters to you. Please take Gil from the nearest moghouse. Please wait for us in Port San d'Oria of Auction House after you place the order. We will contact with you instant and trade with you face to face. Please keep your character online with the bazaar stuff on and wait at Bastok Markets by Auction house. We will buy your bazaar stuff as soon as possible. We recommend this trade method for safe delivery. Notice: 1:Never give your goods to anyone once you receive it, because fraudulent activities are taking place frequently and increasingly. We will never ask you to give the goods back after trading! To protect your order security, please don't give your private information to anyone in game. 2:Dear customer: When you paid order, please log in game in 5 minutes and open (Private, Trade, Clan) online friends state. Our delivery guy will meet you and trade with you fastly! Professional Swtor leveler, local IP address. Hand-made leveling by doing quests, no use of Bot or Exploitation. 12 to 15 hours' leveling a day to ensure your account is not flagged. We only need your account, password and character name which will be encrypted, no need of any registeration information so your account is safe. Swtor customers can customize personalized powerleveling schedules. All orders will be started and finished on time as we promised. All things in your accounts and loots will be kept. You can end your order any time and we will refund the unfinished part. We promise to refund any dissent part after verification when powerleveling is finished. We could ensure your vested interest, and guarantee that your money worth it. Perfect services will surely meet your desire. Star Wars: The Old Republic is a story-driven online game set in the Star Wars galaxy, during an age where the galaxy is on the brink of war. In the game, you create your own hero based on the classic Star Wars roles, including Jedi Knights, Sith Lords, Bounty Hunters, Smugglers, and more. Embark on an epic personal saga, facing great challenges and making decisions that determine your path down the light or dark side of the Force. Whether you play with your friends or people you meet for the first time in- game, you choose how your destiny unfolds. We want you to enjoy the experience from the very start whether you’re new to Massively Multiplayer Online games, or a seasoned veteran. This New Player Guide will explain everything you need to know before you begin your journey.